I should declare up front that I’m a Kambah girl. I haven’t lived there for two decades, but I grew up there. I even went to Kambah High back in the day. I know, maybe not always something to crow about, but I survived – new kids getting their heads flushed in toilets, smoking in dunnies and general hard a** teenaged behaviour. 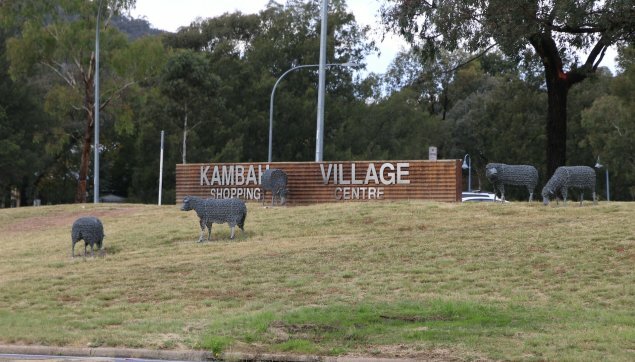 Kambah is Canberra’s largest suburb (at 1130ha) and was the first suburb of Tuggeranong. It breaks with tradition in its size and that it is sliced in half by a main road – Drakeford Drive. 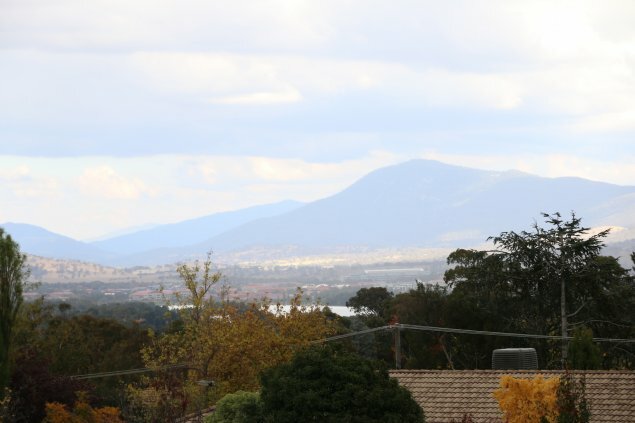 But, nestled in the bosom of Mount Taylor and Urambi Hills, it includes some gorgeous elevated properties with beautiful views across the valley, along with some fairly dicey looking government housing (which might now be privately owned). I grew up somewhere in the middle, probably closer to the flats than the heights. Now that I go back, it is the vast difference in the two landscapes that strikes me most: from the dizzying heights of Learmonth Drive (where properties backing on to Urambi Hills have been known to sell for $1m) to the graffitied shops on Livingstone Avenue (which are now boarded up) and the ‘not for the faint hearted’ Kambah Tavern. It’s a clash of cultures and outlooks and in many respects it produces a pretty cool community, well served with local amenities. Kambah once had four government primary schools although only one of them (Mount Taylor) still exists along with the newer Namadgi School which was built on the old Kambah High School site and opened in 2011 for Pre School to Year 10. There are tennis courts, a Scout Hall, the Burns Club, loads of ovals, a BMX club, a swim school, a couple of petrol stations and a number of shopping centres (although the Kambah Village on Drakeford Drive is the largest). Kambah is also home to the Adventure Playground. I remember it first opening years and years ago, although back then it was tree houses and less ‘safe’ play equipment that seemed to be more popular with snogging teenagers than kids. These days it’s been refurbished and my kids love it (review to come soon!). Back when I was local, Theo’s at the Carleton Street Shops, sold the best burgers and pizza around and you could while away your wait on the old school pac man (or was it space invaders?) machine in the corner. If looking to get out a bit, it’s not far from the Murrumbidgee River and popular Kambah Pool (and nearby nudist beach) and a pretty quick bike ride to hit Lake Tuggeranong for a pretty nice bike ride. In the early 90s the new area of Gleneagles opened to expand Kambah even further and add a golf course. Named after the Kambah Homestead (which was located near the Adventure Playground), in 2009 the suburb was named one of the top ten bogan suburbs in Australia, according to Punch Magazine. I take it the voters hadn’t ventured further south. With a median house price of under $500,000, it is one of the more affordable suburbs to buy into particularly given its relatively central location (these days). Whether you’re a lover or a hater, for me, Kambah was a great place to grow up. And you can’t argue with the availability of local amenities. It’s just a shame more investment isn’t given to the areas that are falling into a bit of disrepair. Kambah almost didn’t come into being. The original plans and street layout for part of the area was for a suburb called Village Creek. Those plans were scrapped and replaced with the current Kambah. Also, there was supposed to be a link road between Tuggeranong Parkway and what is now Kambah Pool Road going thru the current BMX park on Sulwood Drive. On some maps the link is still shown as a dotted line. Kambah Pool Road was supposed to be an extension of Tuggeranong Parkway and go past Kambah Pool and the Murrumbidgee River to other suburbs in the Tidbinbilla Valley. Zed has been trying to resurrect that scrapped development. Great Article – I am a former Kambah resident for over 20 years, but moved away about 5 years ago. It is a tragedy how the ACT Government have ignored the suburb and its residents. It always amazed me that people in Kambah didn’t complain loudly and publically about their lack of facilities and entertainment options. I remember when they announced a Kambah Village redevelopment to much fanfare. Turned out to be 5 steel sheep and some scattered stuff that a farmer threw out. I also think they replaced the cereamic toilets with steel ones (didn’t touch the horrendous cement bunket they were housed in). Woop de doo chief minister! I was also angry at an (unamed) Labor politician at the St Thomas fete who was complaining about the lack of proper and attractive shade trees, gardens and nice grass. Then he said that Kambah people don’t like the European look but prefer gum trees and simple Australian outback look. I thought “no we don’t” we just get dumped with the cheapest to install and maintain trees and gardens. About time Kambah got some much overdue love from ACT Government (and I don’t live there anymore). Oh, and I can tell you that it was space invaders at Theos. It wasn’t Space Invaders, it was Galaxian, it’s just that there was some Space Invaders labels under the glass of the cocktail cabinet. The poor cabinet suffered a bit from local hoodlums and their thirst for free cigarettes and 20c coins. Speaking of arcades – did anyone ever visit the small arcade that was located in the back room of a video store on the Marconi Cres shops? I thought that was the best thing to spend an afternoon there playing the neo-geos. There was a small arcade parlour at the Kambah Village shops for a while as well. Yes, I remember both. I’ve lives in Kambah for almost 40 years, grew up here and love it so much I bought a neighbouring property to the family home to raise my own. I’ll always think of the Marconi Shops as Wally’s, Livingstone Avenue as Rosanne’s and the Mannheim Street ones as The Co-Op. Just before we left Canberra in July,’73,I stood at the first intersection of the new suburb of Kambah and slowly did a 360` turn with a home movie camera(if the average age now is 36,very few will know what they look like).There were maybe a dozen houses nearby,then nothing but open grasslands all the way to Tharwa. Yes, it was meant to be a number of separate suburbs; not sure how they stuffed that up but it obviously wasn’t impossible. I heard a rumour it was some sort of nutty cost-saving measure. Anyway, I grew up in the inner north but spent 14 fairly happy years in west Kambah (Crozier Cct), only moving north again in the end as a result of a silly life decision. Mind you, I was pretty glad we’d moved on the day of the bushfires. We were close to Urambi Hills and the golf course and plentiful other green space where I did lots of running; we even had a swamp wallaby thumping around in our back yard one Boxing Day. I used to joke that our location was really Gleneagles Heights but, besides that, it had a special appeal with one of Australia’s longest rivers just down the hill and a backdrop of the Bullen and Tidbinbilla Ranges behind it. There were lots of interesting birds that came through our yard, too. 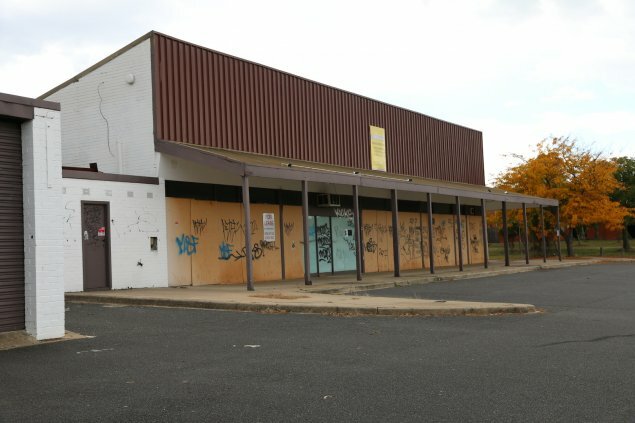 One thing that has changed is the closure of lots of the small supermarkets dotted through the suburb, and sometimes the whole little neighbourhood shopping centres; only a couple seem to have survived. I can also vouch for Theo’s, certainly as it was back then; nothing like a good local takeaway. My ex still frequents the hairdressers at the back of the Village, too, from way over in the deep north. Our neighbour across the road originally set up Brew Your Own but then moved on to something else, as he did. Lots of good memories. 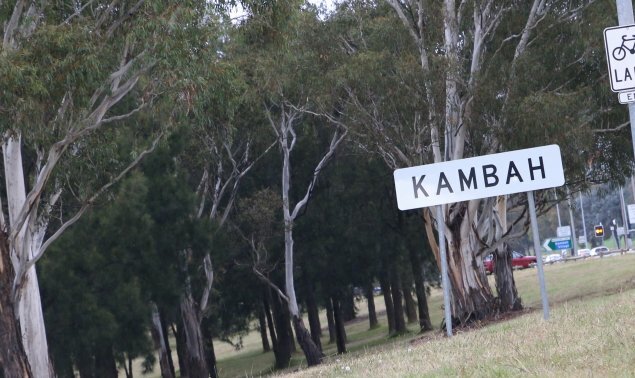 I heard Kambah was to be 4 suburbs, but some mismanagement resulted in the 4 suburbs becoming “Kambah”. Early Tuggeranong planning maps show names like Mitchell etc in the area. If you look at the map you can see where it would be split into 4. Kambah is one of the largest suburbs of Canberra. Because of its size, there is a wide range of socio-economic levels. Gleneagles estate is one of the most affluent housing estates in Australian Capital Territory. It is quite an affluent and newer estate in Kambah containing a golf course and country club, where as other parts of Kambah, especially the older estates where there is government housing does appear dilapidated. The older group centre, which is Kambah Village shops contains a Woolworths supermarket. There is also a newer group centre in Kambah which contains an IGA supermarket and Namadgi School, which was constructed recently. The majority of traffic to and from Tuggeranong (Greenway) passes through Kambah along the main thoroughfare, which is Drakeford Drive. Many families in Kambah also enjoy the Kambah Pool recreation reserve. Anyone who went to Kambah High and graduated between 1983 and 1987 (particularly 1985 as 30 years this year) we are arranging a reunion for the October long weekend. If you are interested or know anyone please look up Kambah High School on Facebook we are trying to get as many people as possible to hear about it. Share far and wide. We’re new to Kambah, & while the Tavern & shops are a shock, it’s working out to be a great spot. Right on highway for fast trip to city, & we ship the kids over the hill to “out of area” schools in Weston. BMX track is great, cycle paths, Cooleman Ridge for dog walks & cycling, Kambah Pool was great fun over summer. we were hoping to buy in Waramanga originally but Kambah is a good price compromise. We are located in the Sulwood drive/ Drakeford Drive /Boddington St area & it’s quite nice. 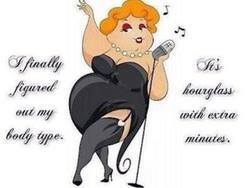 Having been in Kambah for the better part of 27 years I’ll concur with the post. There’s something about Kambah that draws you back as an adult, for me anyway. My family and friends are all here and my kids are also going to the same school I went to. I feel a real connection to the suburb and surrounds. I’m not well travelled but I have had the choice to live wherever I wanted to. I feel safe here. And even though we’ve had a few Fords and Holdens in our driveway, we’re not bogans. We live in the dizzying heights of Learmonth Dve, but, worst house on best street scenario. The redevelopment of Kambah Village is decades overdue. For the biggest suburb in Canberra, it sure has the shittiest suburban shopping centre! I look forward to watching the redevelopment. If it ever gets started. And I’ll vouch for that bloke Col, from BYOAH, cos he’s my dad. I remember doing ceramic painting on plates and cups etc at the ceramic painting place. Brew Your Own at Home, round the back of the Kambah shops, is a gem. Best option in Canberra for brewing & home winemaking gear. Colin’s a good bloke too. I am proud to say that I would be an expert in this suburb. Below are my qualifications. – Born in Kambah 34 years ago. 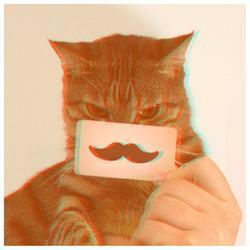 – Have lived in most parts of the suburb having lived in 7 different addresses in the 2902. – My first job was at Cannons – which then became Woolworths. – I bought my first home in Kambah. It is sad to say that this weekend will be my last in this suburb. One thing that I feel is holding the suburb back greatly is how run down the Kambah Village feels. There are a couple of small corner shops close by that look to be thriving with a couple of cafés and a reptile park. Where as the Village seems dark and dingy. Redeveloping this has been on the cards for some time now but progress seems to have halted. We generally drive across to Wanniassa shops if we need anything so as to avoid the Kambah Village. Hey Ezy, where you heading too? Charnwood – the northside equivalent. Kidding – no idea yet. Just waiting for the right property to come along in the Weston area. Kambah is also home a wonderful hairdressing salon, Creative Image (at the Carleton Street shops). Been going there for years. Chips next door at Theo’s are still pretty good too.